Puppies, lambs and now kids all have the potential of arriving here on the farm next year. Our boy band of Hugo and Horik just added a new member on Saturday. We named him Harvey. 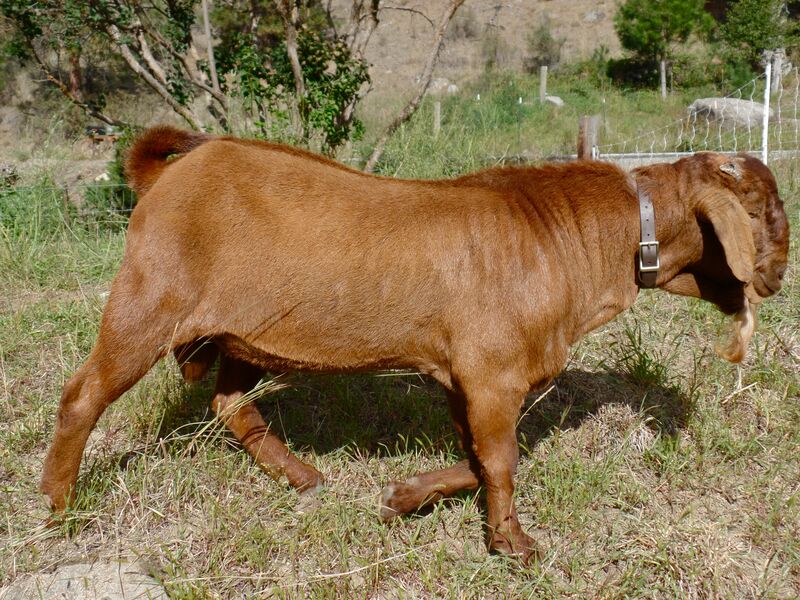 He’s a one and a half year old Boer buck. I really didn’t think I wanted a buck but it’s September now and I have been trying to make plans so I could send our does out to be bred this fall. The going price seems to be $50 and the closest Boer buck I could find was over 3 hours away. We have three does so that adds up to $150. Then you have to factor in the traveling costs of two trips. Also, we’d lose our milk supply because I would need to dry up Piper before hauling her to someone else’s farm. 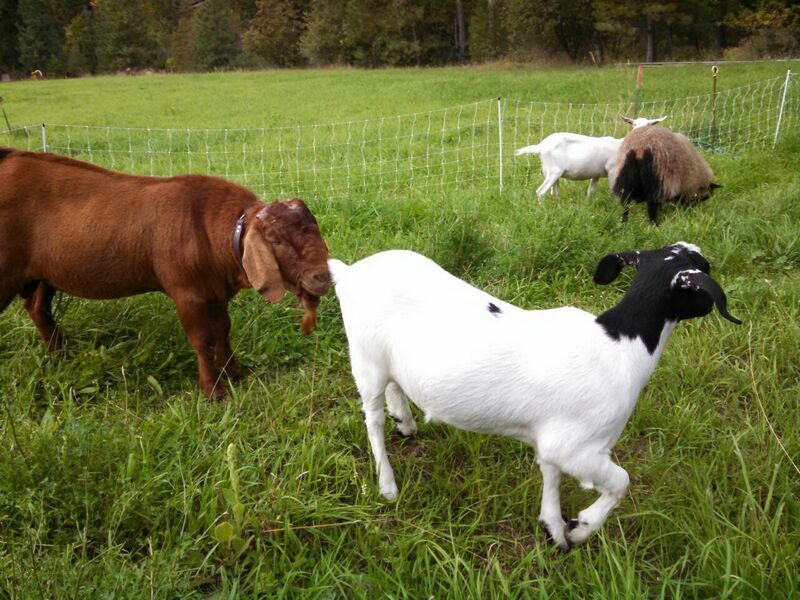 My husband and I decided that producing some meat for our family and having some extra goats to sell would be a good way to help offset the cost of keeping them. Then there’s CL (Caseous lymphadenitis). It’s an incredibly persistent and frightening disease. Sheep and goats are the most susceptible to it. It can manifests as abscesses near the lymph nodes. The worst is when they get it internally. Cysts form on their lungs and organs and can cause them to waste away. It can live in the soil for months and is very contagious. So, I was a little worried about taking our does somewhere to be bred. A lot of breeders now are operating closed herds because of CL and don’t offer breeding services to the public. We were able to buy Harvey from some wonderful people who have been breeding Boer goats for 20 years and have a CL/CAE free herd. It was such a relief. Now, I feel like a real “goat-lady”. I’m complete with the “bucky” smell and all. This entry was posted in Goats, Happenings, Livestock Guardian Dogs, Sheep. Bookmark the permalink. 1 Response to Puppies, Lambs and now KIDS!